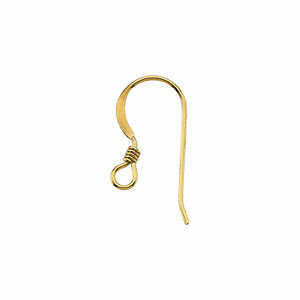 Description: 14k yellow gold French hooks with a coil accent and open ring to attach your dangle creations of bead or gemstones. Tools required for attachment. Sold by the pair. Measurements: 18.25mm in length with 22 gauge wire.